Our Lord who is exalted through the virtue of all saints, You have commanded your holy church to honor the saints who devoted their lives to testify the faith in Jesus Christ, so that the believers will emulate their deeds. We pray in dependence of Thomas Choi Yang-eob, a good shepherd who dedicated his life for our Lord in times of persecution, that we may follow his teachings and dedicate ourselves to the Christian faith. The first seminarian and the second ordained priest from Korea, Father Choi Yang-eob was born as the first son of St. Francis Choi Gyeong-hwan and Blessed Martyr Mary Lee Seong-rye in Cheongyang in 1821, in the family of martyrdom of faith. At a tender age of sixteen, Choi Yang-eob cross China to arrive at Macao Seminary on June 7, 1837. He was ordained as a priest in Shanghai on April 15, 1849, and served as the parochial vicar in Tcha-keou until the end of December in the same year. Choi studied and taught in China for a total of twelve years, and returned to Korea and dedicated another twelve years in pastoral ministry of all areas south of Hangang River as the only Korean priest during the time of Catholic persecution. Choi Yang-eob was not able to rest a day for many months because he was heart was broken ① by the story of believers who suffered many nights of flight, horrendous famine, and continued persecution. The priest performed sacraments at nights and traveled seven thousand miles on foot to visit one hundred twenty-seven Catholic communities. This took a toll on the man, who fell ill at the age of forty during his travels. In this, he passed away on the road while preaching the love of God “with all [his] soul, and with all [his] mind, and with all [his] strength” (Mark 12:30). If the martyrdom of blood is red martyrdom, Father Choi perished in white martyrdom, spending every drop of his life. His sacrifice was especially instructive, as the enemies of faith in the modern world is hidden in our daily lives. As such, Father Choi Yang-eob's role as the patron saint of daily life is crucial in the faith of the modern believers. “Yang” in Father Choi’s name means “good” in Korean. This word also means “to nurture,” which symbolizes the character and virtue of the saint's life as an educator. 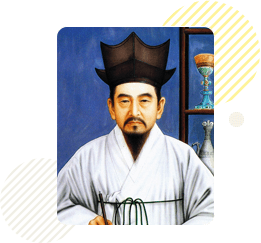 First, Father Choi was the one of the first scholars who studied advanced science and culture of the West, and was fluent in several languages. Capable of composing a sentence composed of one hundred fifty-six words, Choi’s Latin was perfect beyond imagination ②. This ability was especially useful when teaching seminarians in China for four years. Choi was a leader of hope, who was capable of waiting until the end. This originates from his strict belief in God as the Merciful Father (misericordiarum pater) ③. God is merciful, and give us infinite benefits in the end. As such, we are able to stay in eternal hope (semper in aeternum sperabo) even in the valley of death. His gentle leadership also originates from this view of Merciful God. Since we can depend on our Lord's mercy in every situation, we can maintain our gentle heart even in the worst situations. Father Choi Yang-eob was a leader who respected the perspectives of his students. For believers who were not educated well due to their life of hiding in the mountains, the father translated the doctrinal textbooks written in Chinese into easy Korean songs ④. Through this, Korean believers were able to sing the truth while cultivating the slash-and-burn fields. Choi’s virtues also included immense humility ⑤, and his friendship and love for the especially poor and neglected people in the community earned respect from his colleagues ⑥.
Yangeob High School selected Father Choi as the patron saint to learn from his firm belief in God and educational virtues to create a quality school, thereby actualizing Choi Yang-eob's “good work” and “nurturing work,” as indicated by his name.